Friday evening. Wee dram of Laphroaig next to the laptop. Some great music on YouTube (no link to Islay I'm aware of apart from that they're Scottish though). Time to think about what I'm going to post as this weeks Friday Islay Picture. I've posted quite a lot about the former Islay Hotel in Port Ellen recently, so how about walking down the road for a few hundred yards? And pondering that thought I'll say good night and wish you a great weekend, whereever you are and whatever your plans for the weekend are. 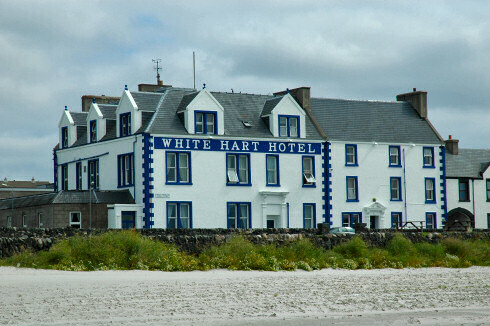 PS: Latest picture of the progress at the former Islay Hotel tomorrow.